Charles J. Noti IV, CPA, Wealth Advisor, began his financial planning career while he was owner of an accounting firm, Kemmerer & Company. He earned licenses in securities and insurance in 2000. Kemmerer & Company later merged into Noti & McPhillips, LLC. Acting on a desire to focus on financial planning, he exited the accounting field and joined Liberty Wealth Management in January 2010. 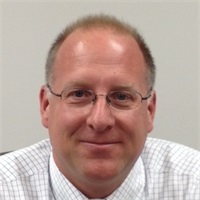 Charles is a 1986 graduate of Franklin and Marshall College and earned his Certified Public Accountant designation in 1993. Charles lives in Hatfield, and spends most of his time with his wife Pamela, and their three teenage children.